The Dell XPS 13 is wonderful laptop regardless of which operating system you choose for it. While it comes with Windows 10 by default, you can also opt for the "Developer Edition" which instead comes with Ubuntu Linux. Unfortunately for some, Dell has been shipping the Dell XPS 13 Developer Edition with Ubuntu 16.04 despite the newer 18.04 being available. This really isn't such a bad thing, as like 18.04, 16.04 is LTS (long term support) and still supported by Canonical. Some consumers probably appreciated this, as 16.04 was more proven. With yesterday's release of Ubuntu 18.04.1 and its included bug fixes, however, Dell is now ready to ship the newer operating system. Starting today, the XPS 13 Developer Edition comes with Ubuntu 18.04 pre-installed. "When Project Sputnik debuted over five years ago we launched with one config of our XPS 13 developer edition on Ubuntu 12.04. 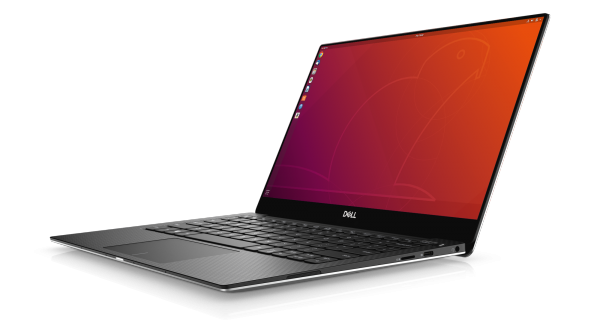 Fast forward to today and thanks to the interest and support of the community, we are able to announce that our seventh generation XPS 13 developer edition now comes with Ubuntu 18.04 LTS. 18.04 represents Project Sputnik's fourth preloaded LTS. We’re already looking forward to Sputnik’s fifth LTS in 2020," says Barton George, Project Sputnik and Linux Lead at Dell. Will Cooke, Desktop Engineering Director, Canonical explains, "We are delighted to have worked in close partnership with Dell for the launch of their latest XPS 13 Developer Edition pre-installed with our newest LTS release. Dell's superior hardware combined with Ubuntu 18.04 LTS provides an excellent, reliable experience straight out of the box. Building on our longstanding relationship with Dell over the last six years, we look forward to seeing 18.04 LTS roll out on further models in the coming months." To configure and buy your own Dell XPS 13 Developer Edition with Ubuntu Linux 18.04, simply go here. Pricing starts at $1,049.99 and increases as you improve the specifications.